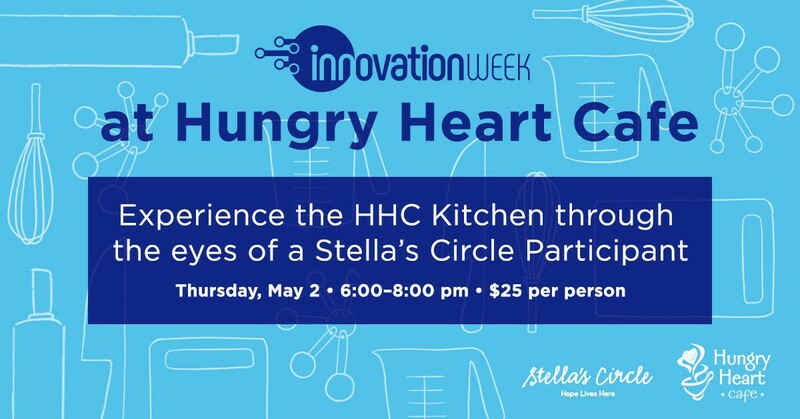 Join us at the Hungry Heart Café, the flagship social enterprise at Stella’s Circle, for a glimpse into the kitchen and our innovative Meals Squared program! Attendees will get to experience the kitchen from the perspective of our Hungry Heart student trainees, who participate in the production of food for Meals Squared. Following the creation of the meal, attendees will sit together in the café and enjoy the meal they have just prepared. To register please contact Cathy White: c.white@StellasCircle.ca or 709-738-7730. Payment required in advance to secure your seat. This event is part of Innovation Week 2019! For a list of other Innovation Week activities, check out the website link here: https://innovationweek.ca/.